Live in an apartment but want to make compost for your houseplants? Does your HOA covenant prohibit traditional compost heaps? Want to compost at the office? Maybe the kids want to try composting at school. Vermicomposting or Worm Composting may be the answer! The live chat begins on Wednesday, April 9 at 11 a.m. PDT / 2 p.m. EDT, where we come together with green industry experts and fellow landscaping peeps each week to discuss all things related to the landscape, since 2011. 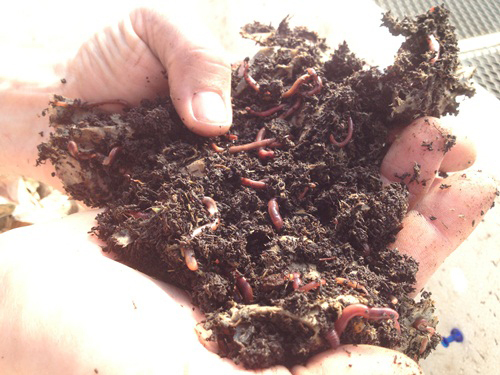 Join @CoronaTools and #landscapechat co-partner @RodaleInstitute Compost Specialist Rick Carr for this week's topic: Vermicomposting or composting with worms! 1. Vermicompost uses the action of worms to break down foods at room temperature. But they can't do it alone; also involved are a diversity of bacteria, fungi and arthropods and many macro-organisms. 2. Embrace balance and remedy imbalance. Troubleshoot when problems occur. 3. No food showing. Keeping your food stuff covered with newspaper will prevent potential odors and fly nuisances. 4. Diversity reigns and uniformity pains. Use diverse food scraps to encourage a diversity of organisms. 5. Benevolent neglect. Worm bins don't require constant attention. Checking less is best, so as not to disturb the worms. Don't miss out on this exciting topic as we welcome Rodale Institute to the #Landscapechat community! Just sign in to #landscapechat Nurph with your Twitter ID and you can follow the conversation and share with the community! It will automatically add the hashtag to all your tweets, too!